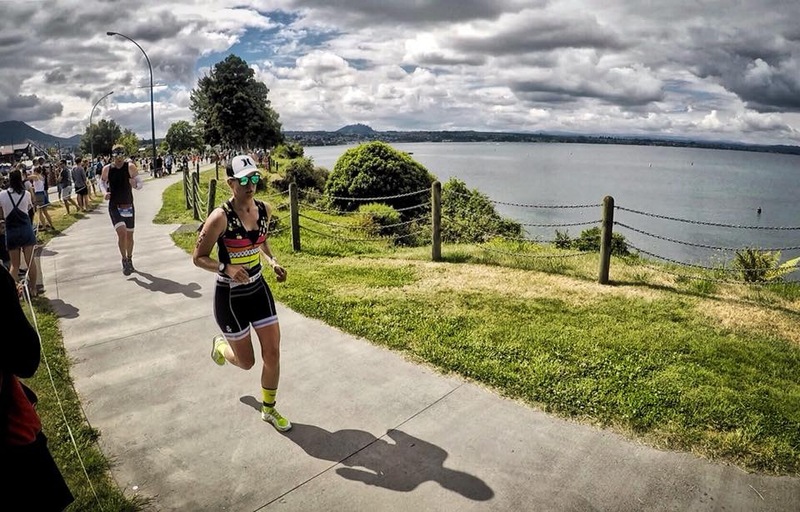 Kim Turner challenged herself to Triathlons 6 years ago. 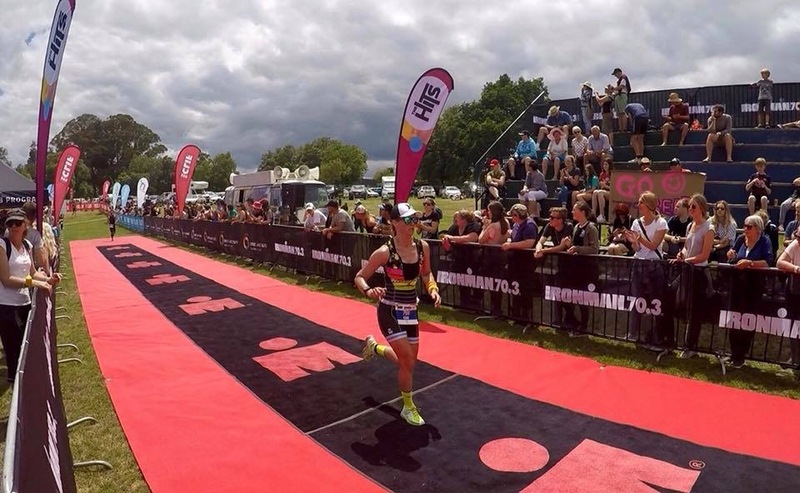 An avid endurance runner for 11 years, with a focus on half Ironman (1900m swim, 90km bike, 21.1km run), she has had many top 3 Age Group or Overall Female placements in races. Nonetheless, she was still shocked when she won the 2017 Monaco Mid Winter Marathon in her hometown of Nelson. What inspired you to start competing in Triathlons? No amazing inspirational story here – I was told when I was in my late teen years if I didn’t workout I would put weight on… so I joined a gym and really enjoyed it. I started running on the treadmill and a little outside before deciding to run a half marathon. At the time, I didn’t comprehend how far that was or about training plans but ran it anyway. Of course I had to keep going and beat my time, then sub 2hrs and sub 1:45 etc. After a handful of half marathons and immersing myself in the running community, I decided to try a marathon, which I hired a coach for. I finished. However, I also ended up injured and had to take time off running. In that time I went swimming (I hadn’t swum lengths for almost 10 years by then) and figured I wasn’t half bad. Another running injury while training for the next marathon resulted in getting back in the pool and I thought I would buy a bike to cross train as well. So I thought why not try a triathlon. 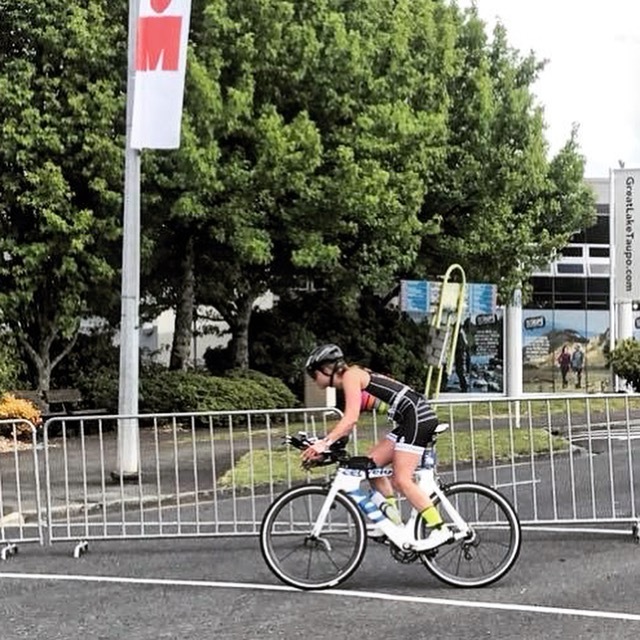 The first one I signed up for was the Taupo Half Ironman (before it was 70.3 brand) and I did race a sprint tri (and won!) and a reverse fun tri (and won that too) before that race. 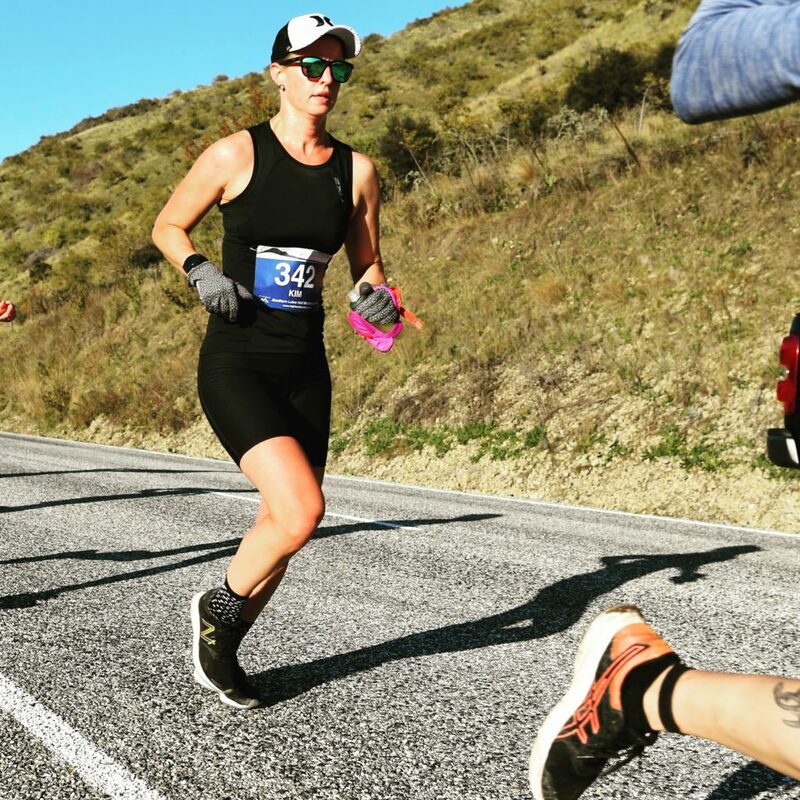 13 months later, I raced Challenge Wanaka full distance. 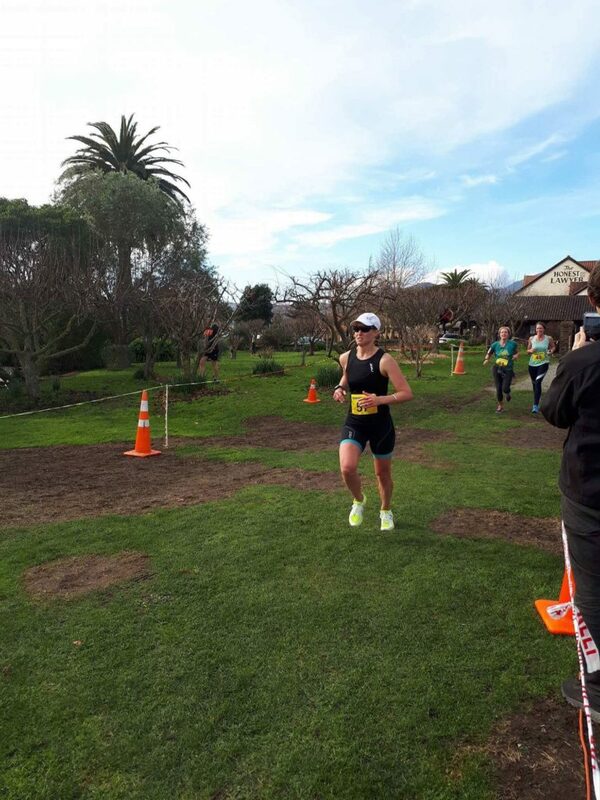 Just before I got into triathlon I actually left my job in the fashion industry and moved back to Nelson to study towards a Bachelor of Sport and Recreation, concurrently with a Diploma in Applied Fitness and began working as a group fitness instructor. I am inspired to keep going because I want to see what I can achieve – whether that is longer, faster or at a higher level. What does a day in the life of Kim look like? My days can vary a lot – I now live in Queenstown and work as a personal assistant to a real estate agent. I work 8:30-5:30 Monday through Friday. Here is an example of a few recent days training. I am training towards Ironman 70.3 World Champs in South Africa on 1st Sept as my main focus and Christchurch Marathon on 3rd June. What setbacks have you faced in your sport career? Have you faced any adversity or discrimination? Luckily nothing major – just injuries here and there. 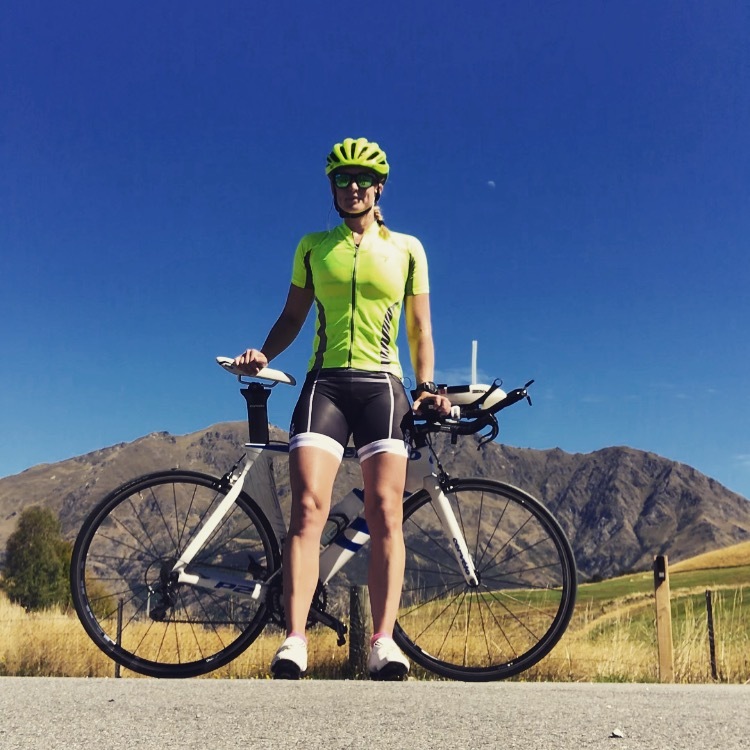 The worst was an ITB injury that forced me out of Challenge Wanaka at 80km into the bike leg. Do you find any difficulties maintaining a work/life/sport balance? I don’t find it too difficult to balance all aspects of life as long as nothing last-minute comes up. I am very much a planner – races are chosen months out, I get my training for the following week usually on Saturday’s – so I don’t do too well with spontaneity. I like to know what is on the social calendar so I can plan my days around it and let my coach know of any obstacles coming up. I am lucky in that I get 60min lunch breaks and belong to a gym close to work. I also belong to the other gym/pool in Queenstown. My husband is a golfing fanatic and spends a lot of time out on the golf course so I can fit in all my training without cutting into quality time with him. My boss, friends and family are all very supportive and understanding of my chosen sport and the time it takes up. They have never really known much different. As well as playing golf my husband also hits the gym and works long hours as a building site manager so I generally ‘run the household’ as such – grocery shopping, cooking, cleaning, food prepping etc. As long as I am organised I can fit everything in during the week. Until this year I had self-coached in triathlon, I decided to hire a coach and go all in for the world champs. This also frees up a little time in my week. Generally I do what I have to do to fit in what I need to do with what I want to do – at the end of the day triathlon/running is a hobby (albeit a very expensive one) and it should bring joy and not stress. How do you stay motivated to train & compete daily? The biggest thing for me is consistency – I know I do not have motivation all the time to do the training sessions I need, but I know that consistency day in and day out is far more important than epic training sessions here and there. Having a coach helps – I know she can see all aspects of the data from each session so I can’t not give 100% to every session. How do you stay fueled for workouts and competitions? I generally prefer liquid calories for shorter workouts and races – my go to is High5 electrolytes and Gatorade carbohydrate drinks. I do find it very hard to chew anything when I am running faster. For longer races and rides where I need something more substantial on the bike – Tom & Luke is my first choice. The Snackaballs are the perfect size to eat at set intervals, or I cut up the Super Slice bars and eat those. 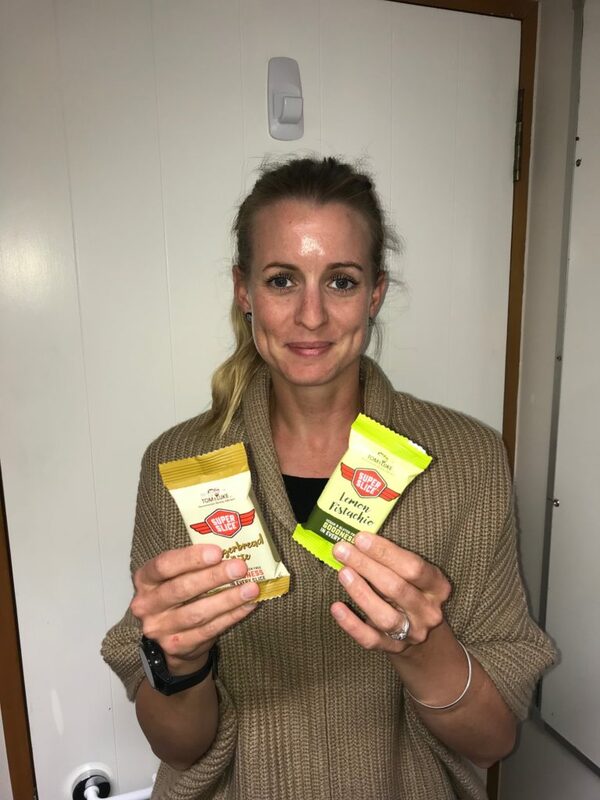 I also use the Tom & Luke products as pre- or post- race or workout fuel. A few balls or a slice before a workout or a Trinity Bar afterwards. Any advice or tips for aspiring athletes? If you don’t love it, don’t do it – your sport should be a passion and a hobby, it shouldn’t cause stress.